Unfortunately, due to the snow days and being unable to rearrange for a different time, Lipson is unable to host the 2018 Lipson netball tournament. 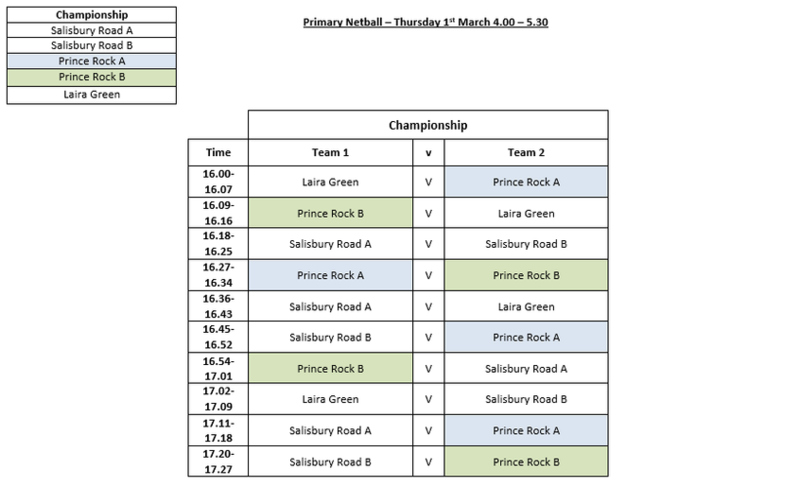 Although this is disappointing, our children will have a chance to play at the first ever Learning Academies Trust (LAT) tournament in a few weeks time. Watch this space for news on the upcoming event! "The first day of our annual High 5 Netball tournament brought some fantastic ability across the board and very close games throughout. The teams played their best and worked together to shoot baskets in order to gain valuable team points overall. 5 points would be given for every game won, 3 for a draw and 1 for a loss. The top team from each group would then advance to Friday’s Final. 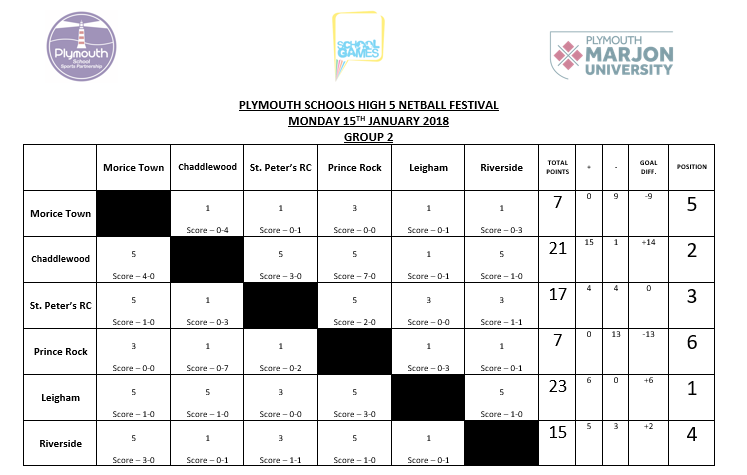 Congratulations to Bickleigh Down with a total score of 25 and Leigham Primary earning 23 points, we will see you on Friday! A massive thank you to the leaders from Hele’s who umpires the games and made sure everything ran smoothly." 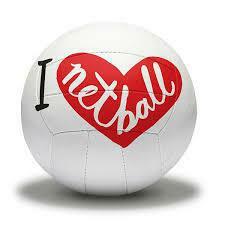 Our netball team had a mixture of results: drawing some and losing some. Unfortunately, we didn't win any although at points it was close. The children all played to the best of their abilities and showed brilliant sportsmanship. We were very pleased with their attitude and determination throughout the netball tournament.